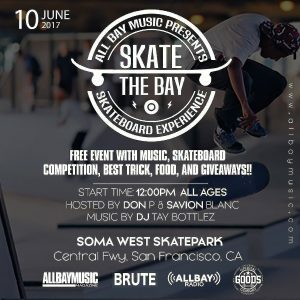 Skate The Bay – Saturday June 10th #SomaWestSkatePark S.F. 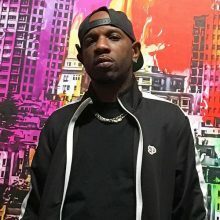 with @djTayBottlez1515 playing all the dopest bay area slappers!! #SfBrute #CreateSkateboards #OfficialGoodsCompany and more! Family Friendly evnet so bring the kids, bring your friends and come enjoy a free party in the sunshine!